Music, Data and the Blockchain: A Digital Utopia? Imagine the creation of database that would contain all of the data about all the music that already exists as well as all music going forward. It doesn’t exist yet, but it might — on the Blockchain. In our latest episode of Musonomics: why are more and more music industry insiders looking to Blockchain technology as a solution to the metadata problem? What really is the Blockchain? And why is it so important? These are just some of the questions host Larry Miller of NYU Steinhardt, and co-host Carmen Cuesta Roca will unpack. To get you started, we’ve covered the Blockchain on our blog before. Here’s a good Blockchain explainer, and here’s another entry on its significance. 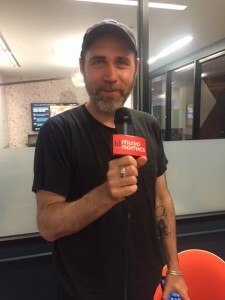 The episode features PledgeMusic founder Benji Rogers, who is evangelizing a comprehensive database of music metadata on the Blockchain. He’s also written on the topic, which you can access here. Singer-songwriter Imogen Heap sheds light on the potential for accurate and intricate metadata. 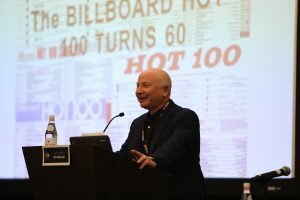 And Bill Rosenblatt of Giant Steps Media Technology Strategies explains that industry-wide standards are key to the metadata problem, but the complexity of the music industry and its vast number of stakeholders will make those standards difficult to achieve. As always, you can listen to the new episode above via Soundcloud, or you can find it on iTunes, YouTube, and Stitcher. Benji Rogers, blockchain technology advocate, who will be feature don the next episode of the Musonomics podcast. Music publishing desperately needs some form of public ledger withholding all records of whom is owed what. Blockchain -still- seems to radiate the best potential solution for an efficient transparent automated payment system and a centralized database. This fervor clearly resonated early June this year at the annual MIDEM conference in Cannes, France. Blockchain has been a sizzling hot topic thanks to momentum generated by two articles written by Benji Rogers, founder of PledgeMusic and the driver of the dot blockchain music project. The topic of using the Blockchain as a solution to the key problems of music publishing has become increasingly popular among music industry executives and artists alike. Performing Rights Organizations (PROs), who are in charge of distributing publishing royalties, haven’t been able to keep up with demanding payment efficiencies facilitated by technology, which has been evolving faster than we can figure out how to make use of it. Yet, Blockchain still remains a batman-esque figure we keep talking about, but who we barely understand. Blockchain became known for being the underlying technology that allows Bitcoin, a cryptocurrency that is unregulated by a central bank, to exist. For those who don’t know what Blockchain is, I recommend reading this overview of how blockchain works, and how it could be adopted by the music industry. Most recently, British songwriter and producer Imogen Heap subdued Blockchain’s spotlight after showcasing her venture Mycelia: “ an open database that describes the whole music industry so that everyone involved can be acknowledged and rewarded.” At a first glance, blockchain might sound like an actual quasi-utopian solution for slow or lost payments in music publishing. And it might be, yet all empirical proof stemming from similar previous projects have failed to show positive results, such as the Global Repertoire Database, which was abandoned by its early supporters and shut down in 2014 before it had an opportunity to launch. So, through divergent thinking, I have come up with four vital factors that would need to be addressed for a Blockchain system to stand up to its dreamy epitome and eventually become the next (tech)platform that innovates the business realm of music publishing. The basic premise of an automated transparent public ledger is for money to travel from point A to B as swiftly as possible. But for it to work effectively and efficiently, data points (who/what is A and who/what is B, etc.) need to be entered correctly for the system to recognize them and distributing the payments accordingly. If a single letter, comma or dash is misplaced, it could mean a relapse into chaos. Each PRO, publisher, record label or anyone who owns the copyright of a musical work, would have to use the same software to enter the data. An alternative would be an underlying standard system of rules that would have to be integrated into any software that provides a solution for entering and uploading specific metadata traits into the blockchain system. Mistakes are human. Entering incorrect data can always happen. That’s why there are specialists who try to fix them so that a system keeps working properly. In the world of Bitcoin (the most popular application of Blockchain), miners are individuals (or groups of people) who, among other duties, issue new bitcoins by solving complex math problems -with the help of specialized software and hardware- in exchange of a fee (commission). This allows for new Bitcoins to enter the market, thus nourishing the system. In the world of publishing, miners would need to be incentivized to clean the data that was entered incorrectly into blockchains, thus being stored in a “black box” of lost revenues. These miners would need to be granted a percentage or one-time fee of each publishing work they help mine and place in a verified chain so that the designated payment could reach the correct rights holder(s). In the United States alone there are hundreds of music publishers who distribute payments to songwriters, producers and artists. And these numbers don’t consider the potential hundred thousands of artists who manage their publishing independently. This means all of them would need to have access to this centralized ledger to input their information. And in order to do so, they would first know what Blockchain is, how it works and why it’s helpful. It might sound trivial, yet explaining the context to its users will allow for this technology to bloom its full potential. Just like anything else in life, a Blockchain platform would require maintenance to keep running smoothly. This could mean debugging, code fixes and any necessary firmware updates, etc. To maintain such a system that benefits numerous corporations and individuals alike, there would need to be a neutral business model set in place that would work for public benefit. A small percentage fee shaved-off from every transaction could be a solution, yet concrete numbers depend on the real costs building and maintaining such a system would incur into. Where would this leave current PRO’s? ASCAP, HFA or any similar Public Rights Organization would have the potential to develop and administer such a system, yet their current business model would lose relevance. This could create tension between the archaic royalty payment distribution system in place right now and Blockchain. It won’t be long until the Blockchain is better understood, or a similar technology appears, and more independent companies or individuals begin coming up with solutions that will disrupt music publishing just like Napster spearheaded the decline of recorded music in the early 2000s. That’s why our next Musonomics episode unpacks what the Blockchain is, who the key players are, and why it’s become the most talked-about new initiative in the music industry.